So… what do we know about Bude? Home of GAD Games, which used to offer the postal football game Soccer Supremos. An absolute rip-off in retrospect. £1.65 a week to send off your team selection and await your results through the post. Transfers were a long-drawn out affair, 10p to send a message to another player offering a transfer, and a good 3 weeks before it was finalised. Corruption abound… people getting two teams then cherrypicking the best players from one team. The tactics were farcical and arbitrary. I notice that various marine conservation groups in Cornwall have websites that advocate responsible crabbing: put any crabs you catch in a big enough bucket with cover (seaweed, large pebbles, shells, etc); don’t keep too many crabs in one bucket, and preferably not two males; change the water regularly; release them and enjoy their antics as they scurry away to shelter. Meanwhile the number one thing to do in Bude, according to their tourist info page, is crabbing. All you need is a net. Helpful link provided to rick Stein’s recipe for shore crab bisque. I was there this afternoon. The Bude canal ends with a sea lock; the only one in the UK, apparently. That’s not why I was there. ..the 20.40 doesn’t leave anymore, Beeching must have cut the ACE line, Bude is the furthest town in England and Wales from the rail network. Bude, Mississippi is a lot smaller than the one in Cornwall. However, it not only has a station but a box car maintenance depot. ..good call,have we got any Leadbelly,Woody Guthrie or even Boxcar Willie references? 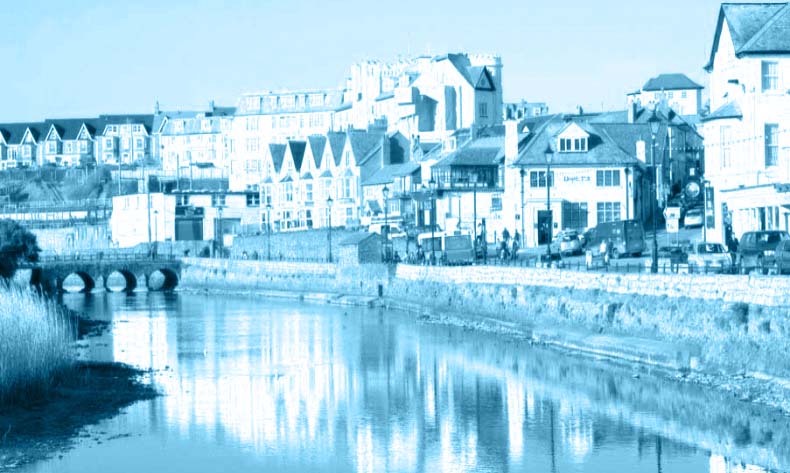 Morwenstow – just down the road – is home to the CSOS – part of the Echelon network. I worked there as a consultant in the mid Eighties and they wouldn’t tell me what they did. Several years later reading a book on the NSA they explained exactly what they did. The irony was that the book predated my work by several years so people in the US were allowed to know but we weren’t.